Rotorua is recorded as having a New Year's Eve Parade every year, which was always followed by the Rotorua Carnival at the Sound Shell for many years the last recorded one being in 1981, the parade was then to be held in November a Christmas Parade instead. Apparently the parades did not take place during World War II years. 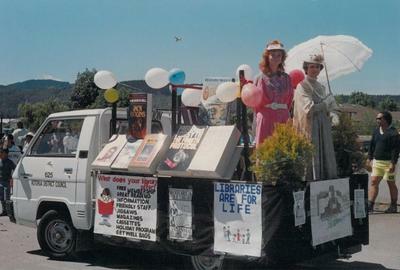 There are photographs of past parades in the Rotorua Photonews held in the Heritage Collection of Rotorua District Library.